The “Stories of Chinese New Zealanders” is a series of interviews with descendants of Chinese people living in Aotearoa New Zealand. The programme looks at the history of their hard work, their settlement and development, integration into New Zealand society, and dedication to contribute and actively promote Chinese culture. The programme also introduces first generation Chinese New Zealanders’ experiences in studying, working and living in Aotearoa New Zealand. The broadcast is an interview of David Lee. This broadcast will be repeated on 25 May. David Lee is a fourth generation Chinese in New Zealand. His great-grandfather was from Taishan County, Guangdong and he came to the gold mining area in Otago in 1920 as a herbal medicine doctor. His grandfather went to Napier and Gore to work in market gardening, laundries and the fast food business. David’s father came to New Zealand in 1951. He did market gardening in Oamaru, however he had an accident which resulted in being permanently restricted to a wheel chair. Later he was very successful in the deer products business. David was born in Christchurch and he is the first Chinese councillor at Wellington City Council and is also a member of Green Party. We are grateful to the Chinese Poll Tax Heritage Trust and the Wellington City Council for their financial support and Wellington Access Radio for supporting and hosting the programme. 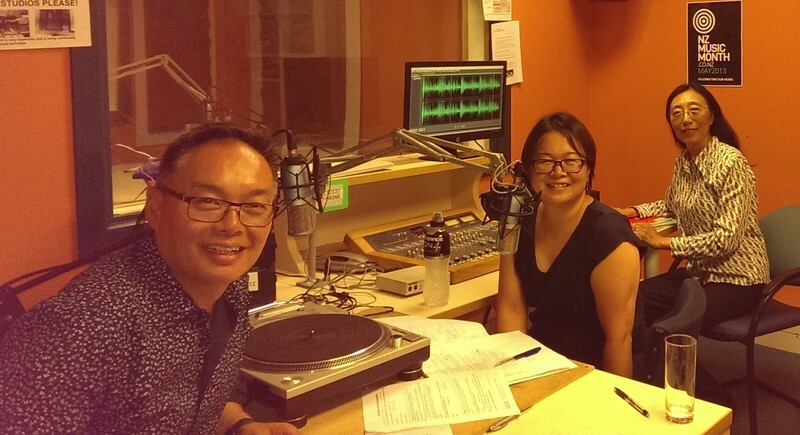 The programme “Stories of Chinese New Zealanders” will be on air from 9 February to 31 August, every Friday at 9-10pm, on Wellington Access Radio 106.1FM. Tune in to listen to the 15 interviewees’ unique stories.